Neo Scale Models has released this week the long awaited Volvo Amazon Coune Convertible. The first release of this newly tooled model is available in gray and features a red interior. The convertible has been reproduced as top-down version. The persening is hiding the folded roof is also in red. This 1:43 scale model is made out of resin. It is available for 54.95 € under item number NEO45210. Neo Scale Models has also produced a dark blue painted model for the German webshop Model Car World. This color is available as a limited edition run of only 300 pieces. You can order your model for 54.95 € under item # 185703. 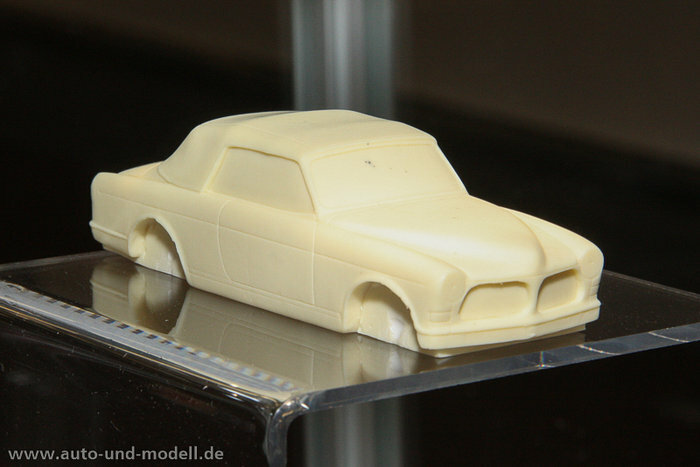 Neo scale Models has also shown a closed version at last years Toy Fair in Nürnberg. I do not know if they will also produce that version.